Construction of the first portion of the capitol building began in the summer of 1905, 15 years after Idaho gained statehood. PCSC staff performs the day to day work of school authorizing and oversight. We are happy to answer any questions you have. Our staff is always eager to help when questions or issues arise. Tamara Baysinger combines her passions for quality educational choice and data-driven decision-making to oversee a portfolio that serves approximately 3/4 of the charters in the state. Prior to her work with the Commission, Director Baysinger spent several years working in media and private industry. She holds a BS in Elementary Education from George Fox University and an MA in Writing Popular Fiction from Seton Hill University. Away from the Commission office, Director Baysinger competes in equestrian endurance racing and spends as much time as possible exploring the wilderness through backpacking, whitewater rafting, canyoneering, and alpine skiing. 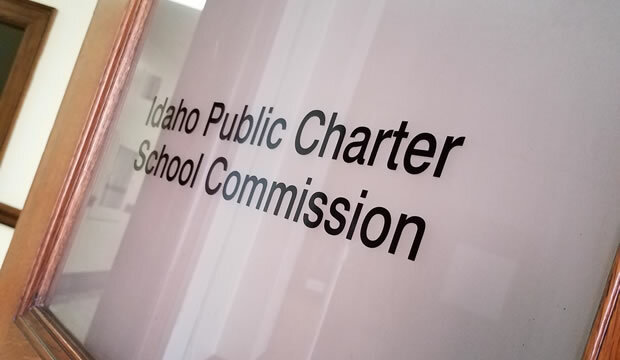 Kirsten Pochop has served as a program manager for the Idaho Public Charter School Commission since 2014. She holds a Ph.D. in American History, with a dissertation on school desegregation in 1970s Seattle and a MPA with a focus on education and social policy. Prior to joining the PCSC staff, Dr. Pochop worked at the Center on Reinventing Public Education studying charter schools and teacher quality and in private industry. She is driven by the opportunity to support high-quality academic experiences for all Idaho students and focuses her work on academic data analysis and issues of equity. Outside of the office, she enjoys hiking, skiing, backpacking, and biking in the great outdoors with her husband and two sons. Dr. Pochop's primary areas of focus at the PCSC include: academic performance evaluation of new petitions and operational schools, petition process management for new petitions and amendment requests, performance certificate renewal process management, and general issues regarding equity of access. Prior to joining the PCSC staff in 2017, Jenn Thompson spent 10 years “boots on the ground” in charter schools, as a teacher, a principal, and a board member. She spent another 4 years working with schools across the country on policy development, governance support, and new school start-up. Ms. Thompson holds an MA in Literary Studies, an M.Ed. in Education Administration, and is certificated in Idaho as a Pre-K-12 Administrator and a Secondary Teacher. She is passionate about the role governance and leadership play in providing quality charter school options in Idaho. Outside of the office, she enjoys gardening, hiking, and supporting her boys in their many musical ventures. Ms. Thompson's primary areas of focus at the PCSC include: financial performance evaluation for new petitions and operational schools, management of the new school opening process, developing and coordinating resources for PCSC portfolio schools, and general issues of charter school board governance. Chelsea Cantrell has served as the administrative assistant for the PCSC since 2016. Her passion for football marks her as a true Boise native. She has three beautiful girls and is committed to supporting quality school choice in Idaho.